Katherine Gray is an American glass designer who creates fluid, dreamlike objects with her beloved medium. Drawing on the extensive lineage of fine glassblowing whilst infusing it with her personal imprimatur, Gray’s collections including vases, candelabras and goblets. According to her leitmotif of ‘disappearance’ many of her pieces – both functional and non-functional - are designed to fit inside one another, a play on the material’s intrinsic transparent quality. Born in 1965, Katherine Gray attended the Rhode Island School of Design and the Ontario College of Art, in Toronto, Canada. A huge proponent of handiwork and physically engaging in the arts, one of Gray’s most prominent artwork pieces is called “Forest Glass,” on display at the Corning Museum of Glass. While she is a skilled glassblower, Katherine Gray glass employs secondhand glasses from thrift stores and online auction sites – a panorama of green, brown, and clear colored bottles, beakers, and cups. Exploring creation, destruction and ecology, these found objects were arranged on clear shelves into the shape and color of trees to illustrate the versatility and timeless appeal of glass works. Katherine Gray glass is highly elemental. Seminal works and collections by Gray include “Fire,” manifest impressions of heat; “Water” combining the artistic essence of water and ice; and lastly, “Air”, which highlights the intrinsically sightless nature of glass. 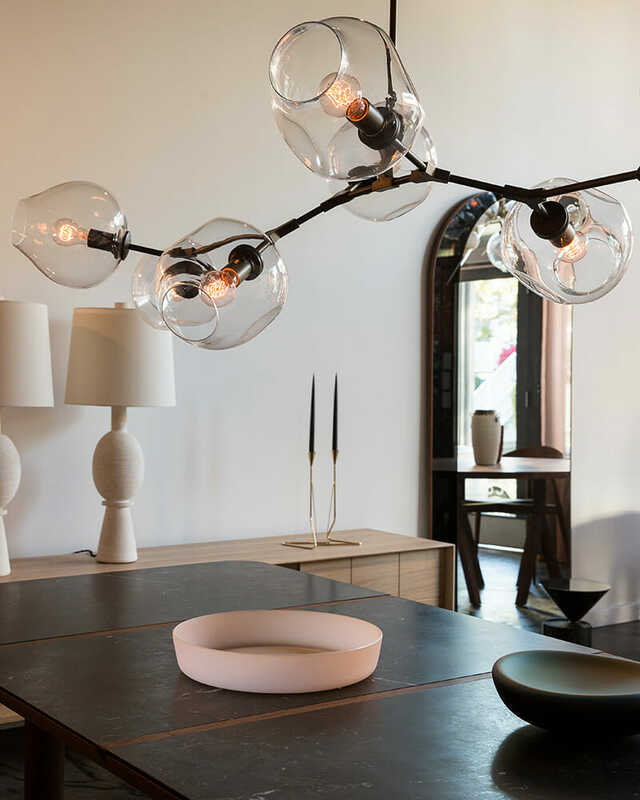 Like all of Gray’s work, each piece is grounded in a design philosophy that draws on nature, the corporeal and organic phenomenon. Gray’s work is on display in the Museum of American Glass, and the Tacoma Museum of Glass in addition to the Corning Museum of Glass. She has been nominated for the Louis Comfort Tiffany Foundation Award, and has garnered many accolades, including the Award of Merit from the Bellevue Art Museum in Washington. Katherine Gray remains active in academia as an instructor at Rhode Island School of Design and an assistant professor at California State University in San Bernadino, California. Recent projects include acting as curator of “Glass: A Juried Art Show” at Minnetrista Art Center, Muncie, IN, participating in a group exhibition titled “California Handmade: State of the Arts” in Rancho Cucamonga, CA, and presenting solo exhibitions “This Makes Me Think of That” at the Heller Gallery, in New York, NY, and “A Rainbow Like You” at the Robert and Frances Fullerton Museum of Art in San Bernardino, California.